In the interest of truth, the title that you just read is a bit misleading. The most common ring repair, technically speaking, is resizing. Most women, however, don’t consider this to be a repair, but rather an accepted part of receiving an engagement ring. When it comes to the repairs that women consider real fixes, damaged prongs top the list. 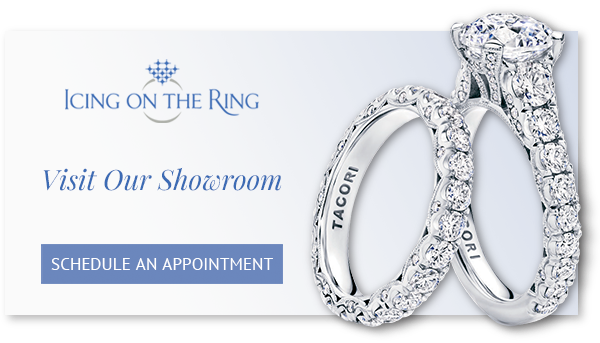 If you have a Tacori diamond on your finger, you should know how to check your prongs in the comfort of your own home. Your naked eye isn’t often enough to tell you if you have damaged prongs. Invest in a cheap magnifying glass to look at your ring more closely. Inspect each prong from different angles at least once a month to identify these common problems. Occasionally, a prong will break off completely. Other times, your prongs will only break off at the tips. If you find that a prong is missing or broken, stop wearing your ring until you have a jeweler repair it. Wearing your ring increases the chance that you’ll not only have a broken prong, but a missing diamond. 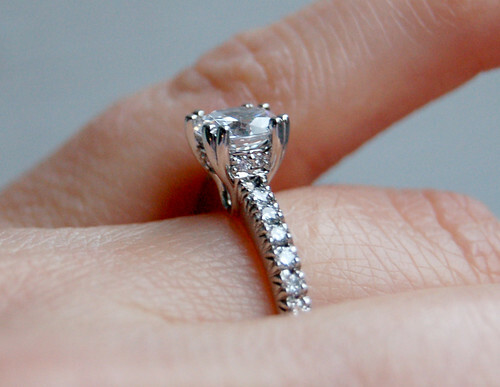 You may not believe this, but eventually you will forget about your engagement ring. As you get used to the ring, you become less careful with your hand. Bumps and dings happen, but they can result in bent prongs. Like missing prongs, bent prongs should have you leaving your ring tucked safely inside of its box until you can get to the jeweler. You won’t experience worn prongs for quite some time, but expect it to happen as your ring ages. Worn prongs take on a flattened appearance. What has happened, in essence, is that some of the metal of the prong has been worn off. This leaves you with a thinner, weaker prong. Have it repaired as soon as possible. As soon as you notice damage to one or more prongs, take your engagement ring to the jeweler of purchase. If that jeweler is no longer in business or is no longer within convenient access, any reputable jeweler will do. Show the jeweler the ring and ask that it be repaired. Typically, the prong head will be re-tipped. If the damage is severe enough, the jeweler may recommend having the whole head replaced. Be sure to follow the jeweler’s advice; he or she knows how to repair rings and reduce the risk of having your diamond come tumbling out. Before you have any repairs done, contact your insurance agent to see if they will be covered. If damage occurs through no fault of your own, the repairs may very well be covered. If, on the other hand, you have only insured your ring against loss, the repairs will be up to you to pay for.